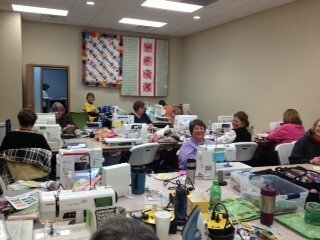 Who doesn't like enjoying 3 days of sewing with some of your best quilting friends! It's the most fun you'll have all year! We are very excited to be able to host our Retreats in our Retreat Center. We have a large room in the back that is just perfect for retreats. Come join us for some great quilting fun!